to enchant us and rekindle our imagination than a fairy tale. But what is a fairy tale? Where do they come from and what do they mean? What do they try and communicate to us about morality, sexuality, and society? The range of fairy tales stretches across great distances and time; their history is entangled with folklore and myth, and their inspiration draws on ideas about nature and the supernatural, imagination and fantasy, psychoanalysis, and feminism. Andersen's The Little Mermaid, to modern-day realizations including Walt Disney's Snow White and gothic interpretations such as Pan's Labyrinth. 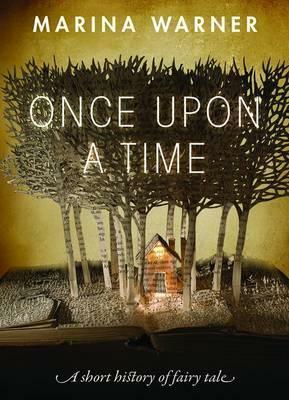 In ten succinct chapters, Marina Warner digs into a rich hoard of fairy tales in their brilliant and fantastical variations, in order to define a genre and evaluate a literary form that keeps shifting through time and history. Her book makes a persuasive case for fairy tale as a crucial repository of human understanding and culture. Literature in 2008. She is a Fellow of All Souls College, Oxford, an Honorary Fellow of Lady Margaret Hall, Oxford, and a Fellow of the Royal Society of Literature and the British Academy.